Vintage-style mercury glass combines with modern electronics in this lighted candle. 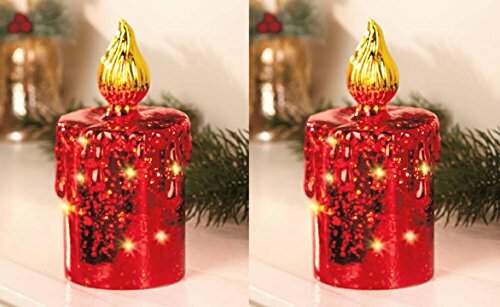 Each candle features a "flame" that lights up with an amber glow. Display them in a window, on a table, mantel or anywhere. On/off switch. Requires 3 "AAA" batteries. 3-3/4" dia. x 7 1/2"H. Glass.